Have you ever thought about the impact of big decisions that you made in your life? How about the small ones or the ones made for you? How would have your life turned out if things went the other way? 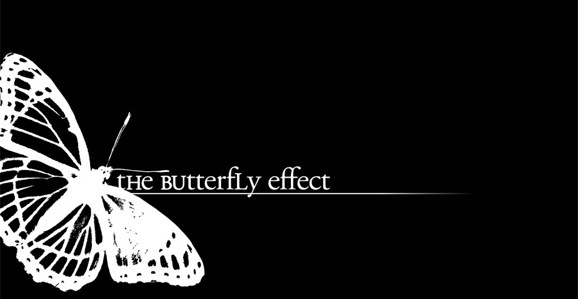 A movie that has always fascinated me is the Butterfly Effect with Ashton Kutcher. The movie was good (not great) but the concept is mind-blowing. In chaos theory, the butterfly effect says that a small change in one state of a deterministic nonlinear system can result in large differences in a later state. The concept was formulated by Edward Lorenz, and uses a metaphorical example of a hurricane being influenced by the flapping of the wings of a distant butterfly. 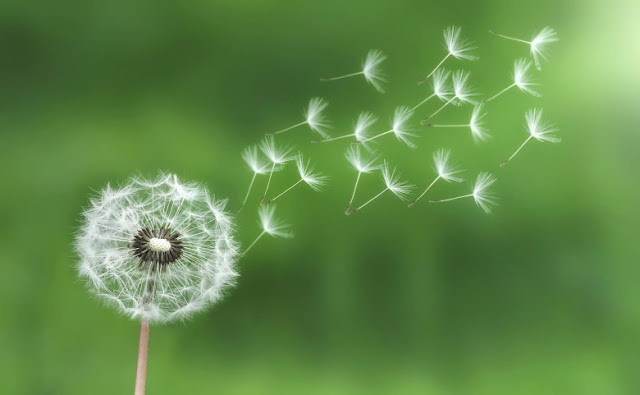 Thus, a very small change in initial conditions can create a significantly different outcome. Another similar and equally fascinating concept in science fiction is parallel universes or multiverses. Star Trek TNG had an episode called Parallels where every decision and possible outcome create multiple parallel dimensions. Thus, your life would have millions of permutations based on every decision you have ever made (or was made for you). You could be President of the United States or a bum on the street, depending on chance. As a computer teacher at a small Jewish school in Calgary, my mom regularly carried home a heavy computer, screen and disk drives, introducing her inquisitive 10 year old son to computers. Instead of playing games, I learned BASIC and built a Quicken type financial tracking software that manages every dollar I earned at my paper route and every dollar I spent (normally Slurpees and Hockey Cards at 7-Eleven). 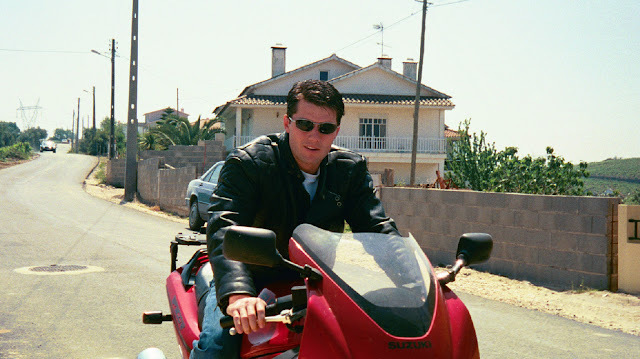 Watching Tom Cruise pop a wheelie on that Ninja 900 (chasing a girl) as a jet takes off in the background had a monumental effect on an impressionable 15 year old kid, 6 months away from getting his drivers license. I did the research (this was before the internet remember!) and figured out that the bike would cost $4,000. That finance program I built years back detailed for me exactly how to make it happen. That frugal 6 months, combined with achieving a clear goal had a huge impact on my life from that day forward. Cutting out alcohol, smoking, drugs (or anything else frivolous) allowed me to get that motorcycle, build an executive home at 22 years old and get a new cherry red Mercedes a few years later. That is the reason I don't drink alcohol today - plain and simple. My dad strongly encouraged me to pursue an internship in my final year of college and I was lucky to have Cargill and IBM come knocking. Working a tech call center seemed to be a better option than a meat processing plant, and my career was officially launched. Two stories stick out in those early days. 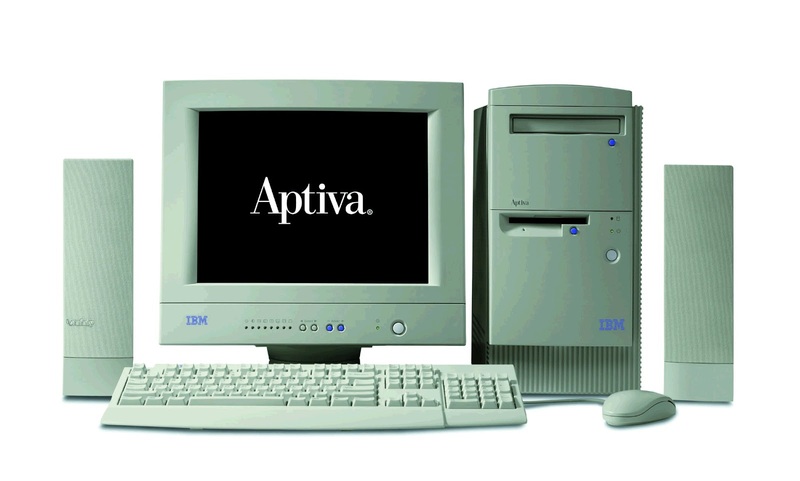 I walked in my first day expecting to work on spreadsheets tracking call center rep performance – it was January and IBM had just sold a boat load of Aptiva home computers. Canadian customers bought NHL Hockey ’94 in large numbers as well. Problem was, after spending over $3,000 and having the family open up the computer on Christmas morning – the game wouldn’t run! After waiting on hold for over 60 minutes the customers were livid! The stress was felt in the office and instead of working on spreadsheets, I picked up the phone. I took over 50 calls that day and everyday after. My boss met me for the first time a week later and was shocked - and pleasantly surprised - that I was the top rep in productivity as measured on the spreadsheet I didn’t work on. Even in the first few weeks of that internship I could see myself contributing more. IBM at the time was a technology juggernaut employing over 10% of all world PHD grads in math, computers and science. 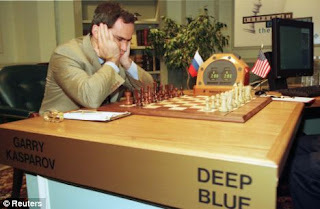 They had just proven that Teleportation (Star Trek style) was possible, were building the computer called Deep Blue that would be the first to beat a grandmaster at Chess (Gary Kasparov never got over it) and evolve into Jeapardy champion Watson, and were demo’ing a new personal area network that used the bodies natural electricity and could transfer data by just shaking someone’s hand. Problem was, there were no evangelists that could talk to business audiences, students and go on TV. I jumped on the opportunity and became the resident IBM futurist. According to the World Future Society, I was the only one they knew of that had lifestreamed my life from the beginning – using that financial tracking software, combined with the fact that I was scanning all my documents and storing all of my pictures in digital format. Every day of my life was documented; financially, documents and pictures – and it still is today! When IBM promoted and moved me to Manitoba to be a sales rep it was a big deal. Most IBMers before me had to wait 5 or 6 years to ever get a chance in front of a customer, and even then as a junior assistant. Here I was, 24 years old (looking more like 14) trying to manage an entire IBM Territory for the PC division. Knowing I wasn’t the most extroverted relationship salesperson, I went the transactional route. I spent hours in the library and on the road documenting EVERY customer in the region. It became a massive color-coded spreadsheet called the Manitoba Unfortunate 500. 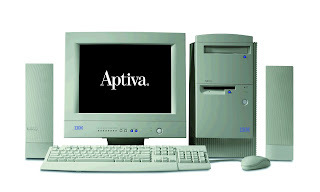 I even took my family on a trip driving thousands of miles through the Northern townships and peeking inside each window on main street to see what kind of computers they used. The spreadsheet grew to dozens of columns with absolutely every piece of competitive and contact info I could get my hands on. I would print the spreadsheet on a large sheet of paper and then laminate it – becoming affectionately known as the “place mat”. This place mat drove my activity every day and a few years later I was recognized for having the largest IBM market share of any Territory in the world – almost 7 out of 10 computers bought in Manitoba in 1998 were IBM! 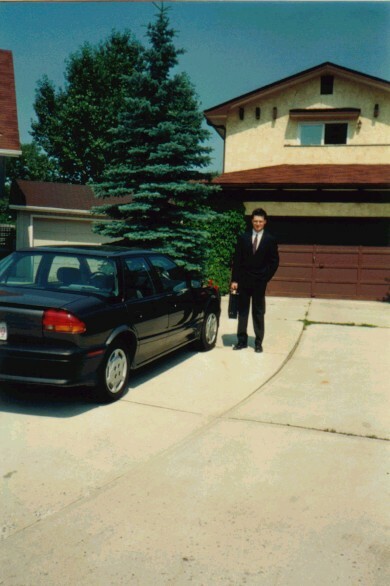 IBM had moved me to Country Headquarters in Toronto and I was now a National Sales Manager. I was able to replicate the place mats for all 10 Territories and because of the mass quantity of prospects, a new scoring and propensity system needed to be developed. After looking at thousands of our current customers, I built an algorithm that predicted how many knowledge workers (and thus computers) every company in Canada would buy in a given year. This predictive model was picked up by other divisions and the same methodology was being used to predict server, software and services sales. I was now handling Lenovo Channel sales for North and South America, and the challenges were that much larger in size and scope. Like many times before, I used a data approach to tie together over 30 systems including financial, product, inventory, distributors, programs and historicals. Instead of being data jockeys for partners, the channel reps could now have all information on one screen and start spending their time driving more strategic discussions with partners. Lenovo moved me to World-wide Headquarters in Raleigh, N.C. and I was now faced with the biggest challenge yet. How do I run an SMB business for a company that ignored the market for decades with someone brand new to the country? In the Tipping Point, Malcom Gladwell illustrates the story with Paul Revere and the Midnight Ride. Revere was possibly the best connected person in Boston on April 18, 1775. When he was alerted to the impending British attack on the armory at Concord, he successfully alerted and armed much of the Boston countryside. I used the exact same approach for finding connectors, gaining endorsements, and taking the IT Industry in the US by storm. I ran into a great connector in my travels by the name of Jeremy Epstein. He had an e-book that compared the future of marketing to a dandelion and it made total sense. After traveling for 6 months straight on the Paul Revere journey, I needed to make an impact on the 30 or so communities that I became a part of. The problem was that communication preferences were changing with social media and almost 30 newer marketing vehicles. The simple math was 30 x 30 = 900 new touch points and the plan was to cover them all! 2011 – Give up corporate life, become an Entrepreneur! One of the top super-connectors I met on the Paul Revere journey was Bob Godgart. He is a serial entrepreneur and the founder of 5 successful businesses. Bob was just transitioning his fourth company Autotask and I decided to jump on the chance to build ChannelEyes with him and two other great co-founders, Dave Geoghegan and Shari Godgart. The first couple of years were a blast – building the first social, mobile and big data solutions for vendors to better communicate, enable and drive sales with partners. 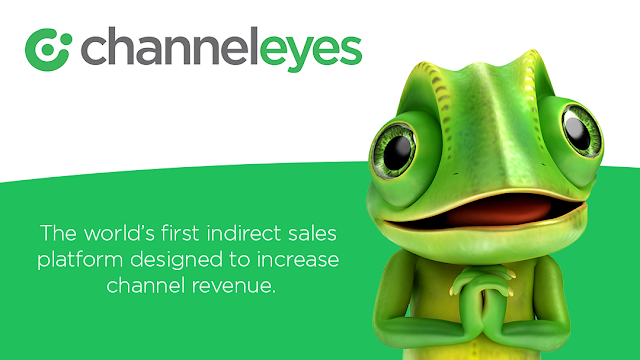 As we entered 2015, ChannelEyes was transitioning into a larger company. Having successfully raised millions in venture capital investment, ChannelEyes is now readying its breakthrough product called OPTYX – the first sales workflow product on the planet made for indirect sellers. And, yes, we are still having a blast! Now back to the Butterfly Effect. 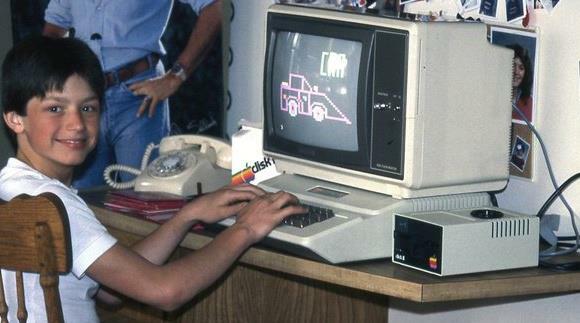 If my mom didn’t bring home that Apple IIe computer when I was 10, I may never have got the job at IBM. If I didn’t write that Quicken program, I may never have been inclined to think in new ways during my sales and marketing career. If I didn’t apply the Paul Revere strategy I may never have met Bob and started a new company. The permutations and combinations of what-if scenarios is mind numbing. Life hasn’t been without its disappointments. At one point I thought I could play in the NHL until I was cut in 1989. I went through a painful divorce in 2001. I thought I would be a lifer at IBM until Lenovo came along and moved my cheese in 2005. I do know this. Getting cut at hockey refocused my efforts and led me straight into college. 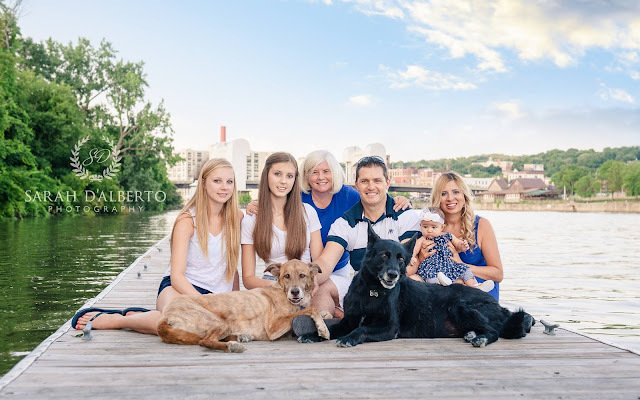 Getting divorced taught me life lessons that I apply to my wonderful marriage with the love of my life Michelle and 4 wonderful daughters (Danica – 1997, Mila – 1999, Brooklyn – 2014, and Cali - 2015). Leaving IBM/Lenovo put me in a wonderful position to create something meaningful. I wish I could flip parallel universes to see what my life would be like – although I would make 100% sure I could get back to this one because it is truly blessed. I wouldn’t change a thing...the butterflies have led me to paradise. 2. My Car Story - How Top Gun and a "Justification for Higher Education" Poster Changed Everything! 5. My Christmas Story - 42 years and counting! 6. My Music Story - JayFM - My Favorite 72 Songs of All-time!